Regular well water testing is essential to ensuring water quality and the continued integrity of your well water system. You can keep your basement dry with sump pumps and a reputable well service company that you know and can trust. When selecting a well water service, you want to connect with a well water company in Connecticut residents can rely on. Appropriate Licensing. If your state requires licensing for well water systems contractors, you should only work with licensed contractors. This applies to installation or repair work related to your well water system, well tank, or water filtration system. Written Contract. Verify that the contractor you select will furnish a written contract that is comprehensive in scope. It should list in detail all of the terms and conditions of the job. NGWA Membership. The National Ground Water Association (NGWA) is an organization dedicated to the industry. They provide support to enhance member expertise through information exchange and continuing education. Certification by the NGWA indicates contractor commitment to ongoing professionalism. You can verify membership by accessing the NGWA Contractor Lookup. Records Information. Find out what record(s) the contractor will provide upon construction of your well – i.e., a well construction report or a well log. Insurance. Does the contractor have sufficient insurance coverage so that you will be protected during the job? Coverage should include liability insurance and worker’s compensation coverage. References and Testimonials. One of the best ways to gather information about a company is by getting feedback from recent customers. Ask the well water contractor to provide testimonials and references so that you can get a sense of how they have performed for other customers. While conducting your search for a well service in CT, it is advisable to obtain information about several area contractors before making a final choice. Greco & Haines qualifies in all of the areas discussed here. 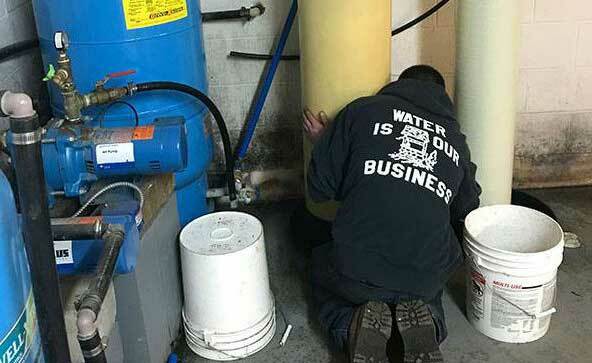 We are a trusted and experienced well water service in Connecticut that you can count on. We have hundreds of satisfied customers in the CT area and would be happy to provide testimonials and references to verify our past performance. We have been in business since 1963 and our staff has a combined 600 years of experience! Feel free to call us anytime with questions about well water systems or to book a service appointment. You can also browse our website for more information about our services as well as access to our Learning Center and Video DIY tips.